SKU: 363113336986. Category: Specific Condition. 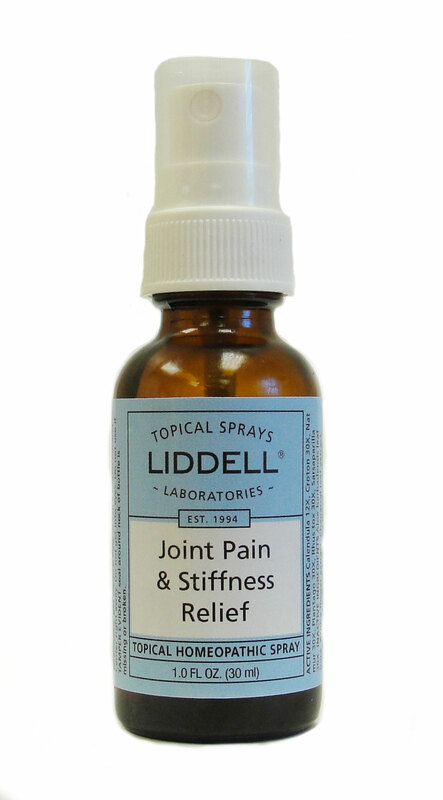 Tags: homeopathic, Joint Pain, Liddell, Stiffness Relief. It’s part of life! Years go by and as they do, many are faced with the aggravating discomfort of joint pain. Now, rapid relief is right at your fingertips! Joint Pain & Stiffness Relief, with the homeopathic ingredients of Natrum Muriaticum 30X and Rhus Tox 30X, helps support the body in relieving symptoms associated with minor joint conditions. A natural milk derivative acts as an enabler for these specific homeopathics to quickly penetrate to the inflammation site, which may enhance safe and effective pain relief. Adults and children over 12: Spray liberally on affected area as needed. For external use only. If symptoms persist, consult a doctor. If pregnant or breast feeding, ask a doctor before use. Keep out of each of children. If swallowed, get medical help or call a Poison Control Center right away. Do not get into eyes. Do not use if TAMPER EVIDENT seal around neck of bottle is missing or broken.